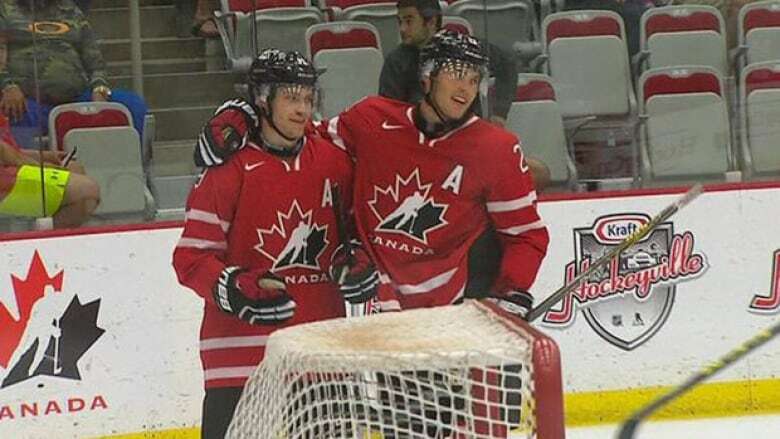 Brayden Point scored two goals and added three assists to power the Canadian under-20 hockey team to a 7-1 victory over the Czech Republic at the national teams' development camp on Tuesday. Jake Virtanen also had two goals for Canada, which has won back-to-back games. Brandon Hickey, Haydn Fluery, and Rourke Chartier rounded out the attack and Travis Konecny chipped in with three assists. Filip Chlapik scored the lone goal for the Czech Republic. Mackenzie Blackwood turned aside 26 shots in the Canadian net. Vitek Vanecek made 27 saves in defeat.